1. Is it possible to do it face to face and at a more appropriate time? The end of the day when the person is about to rest is probably not fair. 2. Do you want to be friends with this person still? 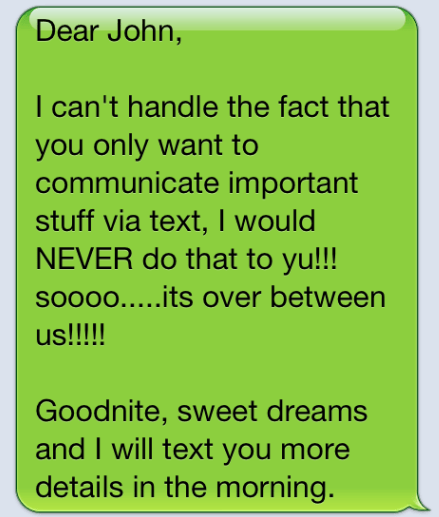 – because turning a good night text into a time to let someone down might not be well received. 3. How you would react to this? This can be a good way to assess things sometimes. 4. Can you just wait until the morning? 5. Could you possible talk to another friend about it before you do this? 6. Are you over reacting? 7. Have you considered all of you options? 8. Why does it have to be done now? 9. What sort of person do you want to be? 10. What sort of friend do you want to be to others?